I am coming to the realization that I cannot jump back into writing a book after taking so much time off. I'm going to go back to the beginning of my research and getting myself back on track. I have some articles already scheduled to be posted over the next couple months, but I will not be starting anything new for a while. I will try to post a few whenever I travel, but my posts will be much more sparse over the next several months. The asterisks are placed next to George Washington and John J. Pershing because they are unique cases as they are considered "General of the Armies" which ranks higher than five-star rank. However, for the sake of Freemasons who were at least five-stars, I am including them both. How of these 11 five-stars listed, 7 of them were Freemasons: Washington, Pershing, Marshall, King, MacArthur, Arnold, and Bradley. George Washington, the Father of our Country, was initiated an Entered Apprentice Mason on November 4, 1752, passed to the degree of Fellow Craft on March 3, 1753, and Raised to the Sublime Degree of Master Mason on August 4, 1753, in Fredericksburg Lodge (later No. 4), Virginia. He was named Worshipful Master of Alexandria Lodge #22, in Alexandria, VA, April 28, 1788, and reelected December 20, 1788, but there is no evidence he was ever installed or presided over any Masonic meeting. He was posthumously appointed "General of the Armies of the United States" in 1976. John J. Pershing served as the General of the Armies during World War I. He was initiated, passed, and Raised in 1888, in Lincoln Lodge #19 in Lincoln, NE. He was made an honorary member of Stansbury Lodge #19 in Washington DC in 1919. Harry S. Truman, Senator at the time, presented Pershing with a certificate making him an honorary member oef the Grand Lodge of Missouri (Pershing's home state) on September 30, 1941. Pershing joined the Scottish Rite in Wheeling, WV, in 1920, which culminated in the 33° on January 6, 1930. Pershing was also a member of Lincoln Chapter #6 of Royal Arch Masons, Mt. Moriah Commandery #4 of Knights Templar, and Sesostris Shriners in Lincoln, NE. George C. Marshall was appointed as General of the Army on December 16, 1944. He's also well known for his time as Secretary of State, Secretary of Defense, and being the author of the "Marshal Plan" which was an American initiative to help Western Europe recover following World War II. He was made a "Mason at Sight" by M.W.Bro. Ara M. Daniels, Grand Master of the District of Columbia, on December 16, 1941 in the Scottish Rite building of DC along with Jesse H. Jones, Secretary of Commerce; Marshall was the Army Chief of Staff at the time. Ernest J. King was made the first Fleet Admiral of the US Navy on December 17, 1944. He was initiated, passed, and raised in George C. Whiting Lodge #22 (now Potomac Lodge #5) in Washington DC in 1935. He was exalted to the the degree of Royal Arch Mason in Darius Chapter #143 in 1938 in San Diego, CA. He later joined Holyrood Commandery #32 in 1939 and Al Koran Shrine in 1946, both in Cleveland, OH. Being one of the most famous Generals in US history, Douglas MacArthur was appointed General of the Army on December 18, 1944. He was named "Allied Supreme Commander" in August 1945 and accepted the surrender of Imperial Japan. He was made a "Mason at Sight" by M.W.Bro. Samuel Hawthorne, Grand Master of the Philippines, on January 17, 1936, before affiliating with Manila Lodge #1. He joined the Scottish Rite in Manila the same year, received the Knight Commander of the Court of Honor (KCCH) in 1937, and received the 33° on December 8, 1947, while at the American Embassy in Tokyo. He was also a member of Nile Shrine in Seattle, WA. Henry H. "Hap" Arnold was made a General of the Army on December 21, 1944, and then General of the Air Force on May 7, 1949. He was initiated, passed, and Raised in Union Lodge #7 in 1927 in Junction City, KS. He joined the Scottish Rite on April 11, 1929, in Leavenworth, KS, and received the 33° on October 19, 1945. Omar N. Bradley was appointed General of the Army on September 20, 1950 and was the last person to possess the five-star rank in the United States military. He was initiated passed and raised in West Point Lodge #877 in Highland Falls, NY, in 1923. These men served with distinction in the fight for freedom at home and abroad, and I am honored to number them as one of my Brothers. The next articles in this series of famous Masons will look at Civil War Generals and US Supreme Court Justices who were Freemasons. Today's been a long day. With the effort of four different Chapters of Kappa Sigma and many alumni, we initiated 66-new members of Kappa Sigma and reopened the Kappa Rho Chapter (Boise State University) of the Kappa Sigma Fraternity. 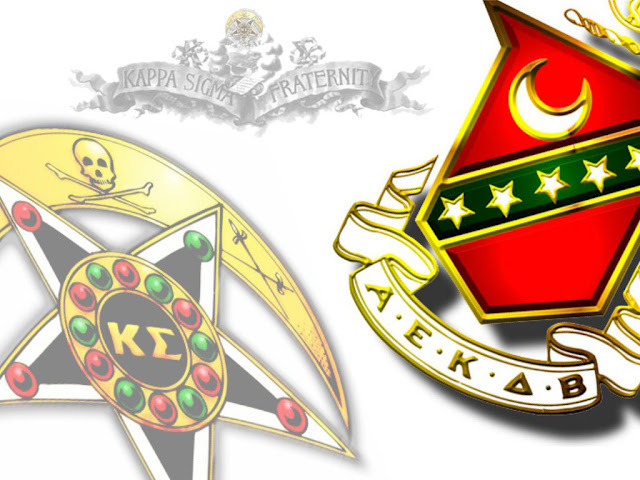 After the initiations were completed, the Kappa Sigma Ritualist installed the officers of Kappa Rho. It was amazing to see the different degree teams do great ritual work and I even got to serve as Grand Master and Grand Procurator for a few initiations. We later met at the Zions Bank building in downtown Boise where had a great banquet with a great deal of fellowship and camaraderie. They keynote speaker was the District Grand Master from Oregon and he knocked it out of the park The newly initiated Brothers have put in so much work to get the Chapter reopened and today was a validation, and culmination, of that effort. The Philalethes Society is an international Masonic research society; the oldest independent Masonic research society in North America. 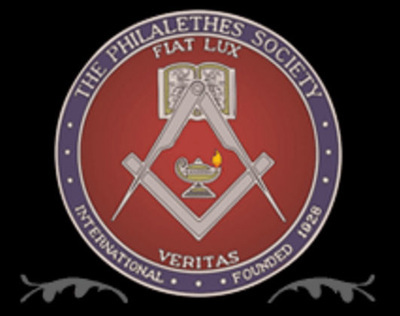 The Philalethes Society was started to serve the needs of those seeking a deeper insight into the history, rituals, and symbols of Freemasonry as well as spreading Masonic light to others. The purpose of this Society is to find the truth in response to the abundant examples of historical fiction, myths, fabrications, and exxagerations. Due to our geographical size and location, American Freemasons have and were often sheltered from the activities of Freemasonry around the rest of the world. The Philalethes Society seeks to fill this gap of knowledge and, in one instance, was instrumental in researching the atrocities committed by the Nazis and it's persecution of Freemasonry. Philalethes (φιλαλήθης) is pronounced "fill-a-LAY-thayss" and is Greek in its origin. Philalethes is the combination of "philo" meaning lover and "alethes" meaning true, and when taken together Philalethes means "a lover of truth." Philalethes was used by some alchemists in the 17th and 18th centuries including Robert Samber with his pseudonym, Eugenius Philalethes (a name also used by Thomas Vaughan). In 1772, a Masonic rite known as the "Rite of Philalethes" was founded in Paris, France, which was devoted to the study of esotericism. It was from this rite that the Philalethes Society took its name. Originally, the Society had no publication of its own, but published its work in other Masonic publications (many of them were edited by Fellows of the Society). The Society attempted to get their own publication started, but with the onset of the Great Depression and World War II, this effort was delayed until 1946, when the paper rationing was lifted. The first "Philalethes: The Journal of Masonic Research & Letters" was released in March 1946 with Walter A. Quincke, FPS, as its Editor. Notable Fellows of the Philalethes Society include Cyrus Field Willard, Harold V. B. Voorhis, Rudyard Kipling, Oswald Wirth, Robert I. Clegg, Henry F. Evans, Louis Block, J. Hugo Tatsch, Charles S. Plumb, Harry L. Haywood, J.S.M. Ward, Charles C. Hunt. Carl H. Claudy, Arthur Edward Waite, Ray V. Denslow, S. Brent Morris, Thomas W. Jackson, Norman Vincent Peale, and Robert G. Davis.